Welcome to Bonita Beach! Emerald Coast by Owner is proud to offer you a number of luxurious condos for rent throughout Laguna Beach in this beautiful complex. Bonita Beach condos give you some of the best views there is to offer down here, with a great convenient location and so many more benefits. When you stay here at Bonita Beach, the possibilities are endless. There's so many ways for everyone to have fun and enjoy the local attractions, there's just about no such thing as a bad time! No matter what you're interested in, there should be something for you down here! There's the water park, St. Andrews State Park, Gulf World Marine Park, parasailing, swimming with dolphins, paddle boarding, golfing, jet ski rentals and so much more! When it comes to eating, you can either shop out at a grocery store to cook back at the condo or you can eat out! If you're stressed about groceries, no worries! Our two local main grocers are Publix and Walmart, they carry just about anything you could want or need! If you decide to eat out, you must try the delicious local spots we have, offering excellent seafood and traditional food, great service and drinks! A few spot we think you might like are Book Docks, Schooners and Montego Bay Seafood House! Come on down and try at least one of the spots, you won't regret it! Emerald Coast By Owner is proud to put you in direct contact with property owners and managers. Direct booking cuts out the middle man and allows you to ask the property owner/manager important questions before booking and also ensures you are getting the best price for your vacation rental! 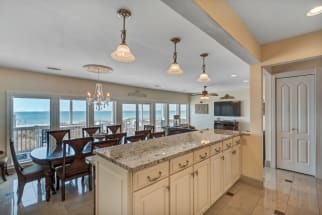 Scroll below to view ECBYO's selection of Bonita Beach Condos.